Does your kid love power rangers? Is he always getting in karate poses when his picture is being taken? Then sign him up for Aikido Kids at Aikido of Westchester. The class is designed to teach kids about the martial art and how to resolve conflicts in nonviolent ways. 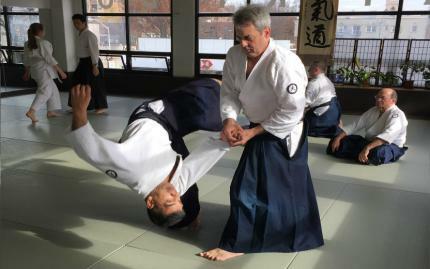 Aikido is based off causing the least amount of painful harm to an opponent by using their own momentum against them -- so you won't be receiving any calls from the principal about little Billy or Sally injuring a classmate on the playground. They'll gain better coordination and a greater sense of self with this class. Give your child the gift of Aikido and watch them grow physically and mentally into a mature and wise power ranger. Note: This is a free trial class for first time participants. This is a free trial class for first time participants. As a courtesy to fellow participants, please provide at least 24 hours cancellation notice.